SOAR and RelmaTech Partner on Precision Drone Mapping » UAV DACH e.V. 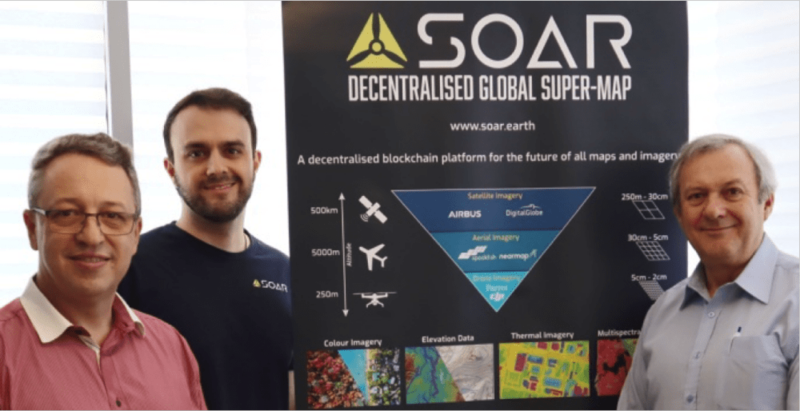 Australian based blockchain mapping company SOAR, and UK identification and tracking technology company RelmaTech, have entered into a ground-breaking partnership that will significantly enhance the drone operations and delivery of live sensor data feeds for SOAR users. The partnership brings RelmaTech’s unique real-time drone management and precision tracking capabilities to the SOAR Super-map. says Amir Farhand, SOAR CEO. “Combining innovative precision drone tracking capabilities with advanced blockchain technologies to permanently record the provenance and authenticity for the multiple data streams that can be collected using drones, is recognised as a significant step forward in the monitoring and mapping of mining, forestry, agricultural and disaster response operations,” emphasised both companies. UAV DACH: Beitrag im Original auf https://www.uasvision.com/2019/02/08/soar-and-relmatech-partner-on-precision-drone-mapping/, mit freundlicher Genehmigung von UAS Vision automatisch importiert. Der Beitrag gibt nicht unbedingt die Meinung oder Position des UAV DACH e.V. wieder. Das Original ist in englischer Sprache.